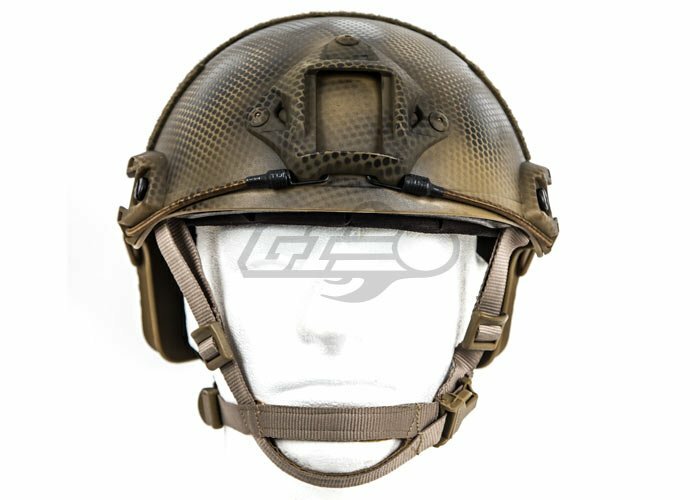 This Lancer Tactical Helmet is the newest helmet design available for our military, law enforcement, and responsible civilian. 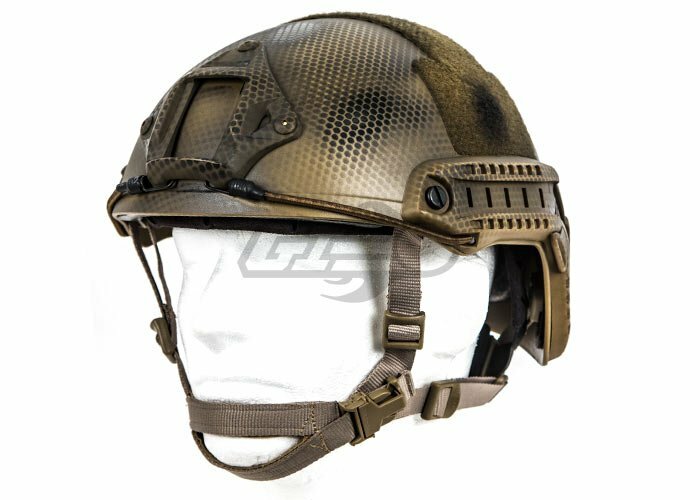 The Lancer Tactical Helmet comes with an integrated military style Head-Lock Chinstrap, which can be adjusted in 5 different locations. 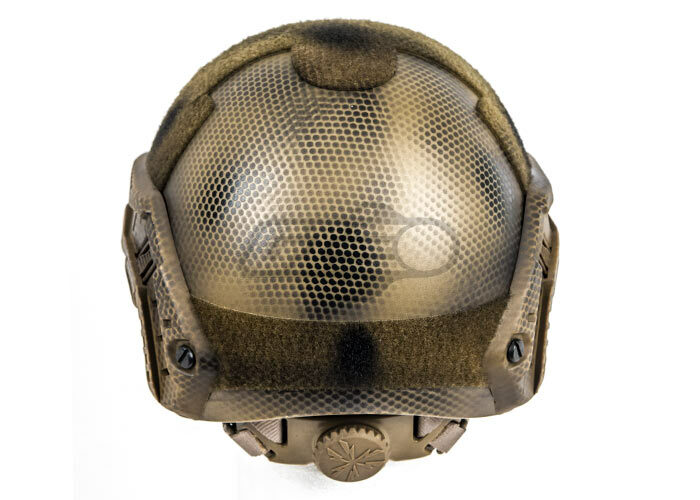 The dial on the back of the helmet allows the operator to quickly adjust the fit of the helmet. 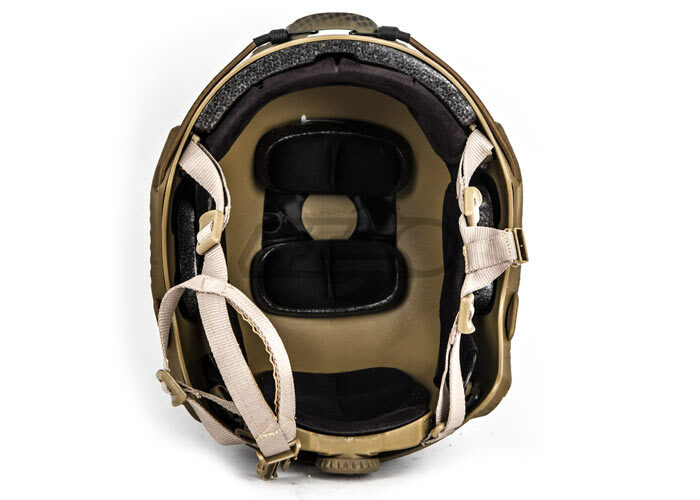 This helmet also includes several velcro panels along the top, side, and back of the helmet allowing for multiple patches to be added to the user's preference. 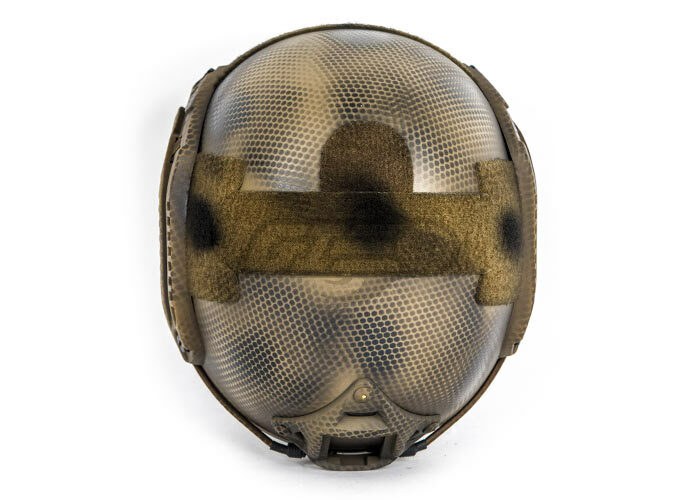 A snake skin style tan camouflage scheme has been painted on this helmet to help it blend better into arid environments. I received mine in the mail today. 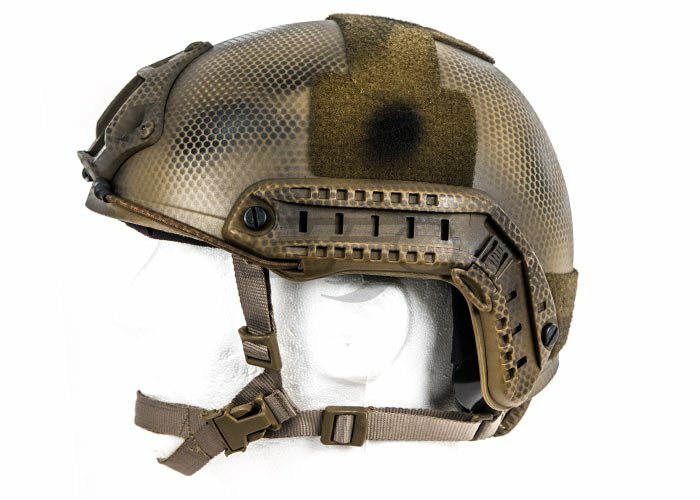 I wanted a Helmet because they are useful in many ways and looks awesome! The paint Job is fantastic. It is not "Shiney in the sun"
My friend bought this helmet, it's amazing! I was gunna buy it but they canceled it the same day it was in my cart. I have been waiting for like a month and a half! Can't get ahold of the creator, still waiting for a reply. Can'y get ahold of product creator. Don't know when it's coming back.